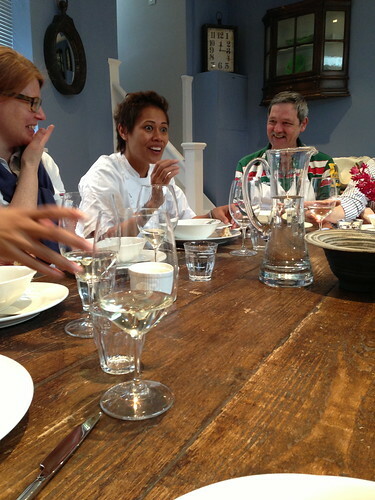 Imagine being able to cook up close and personal with your favourite celebrity chef… well, I got to live the dream at Cactus Kitchens where I had a day cookery course with none other than Michel Roux Junior and Monica Galetti! It was truly an experience I will be telling the grand children about and I’m so excited to share it with you here. 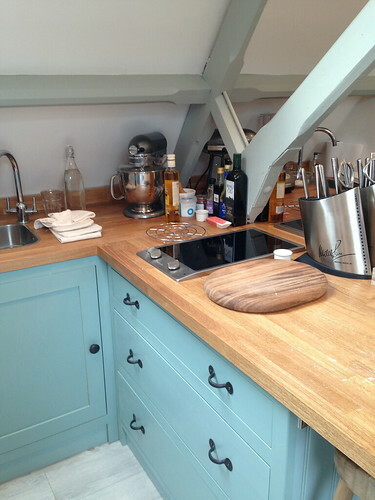 Cactus Kitchens are based in Clapham, just of the high street. The recently renovated building is stunning and the kitchen has been designed to the highest quality specification. 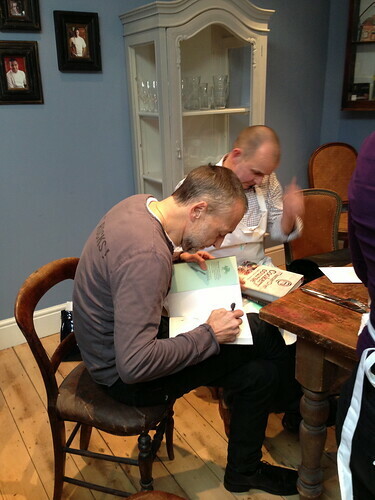 We were told Michel Roux helped with the design so it’s not surprising! 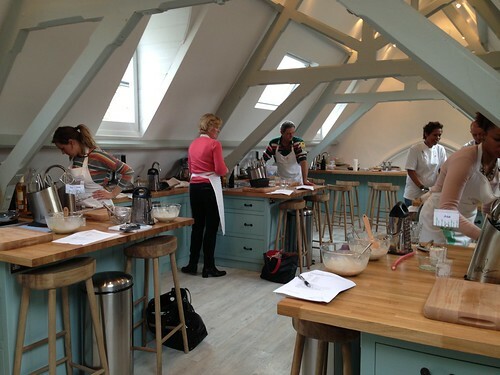 The kitchen is actually above the Saturday Kitchen television studio, so as you go in you can see where James Martin et al spend their Saturday mornings! 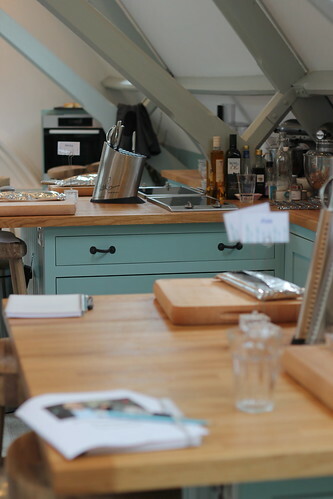 There are 12 workstations and the demonstration area, where everyone sits very close to watch the chef cook the dish, giving you tips and the opportunity to ask lots of questions too. As it’s so relaxed and informal, if you want to get up to see something up close you just hop off your stool and take a peek. Your own workstation is kitted out with everything you need, even Global Knives! You face another student on the opposite workstation, so it’s nice to chat to them and discuss the dishes and laugh when things go wrong! 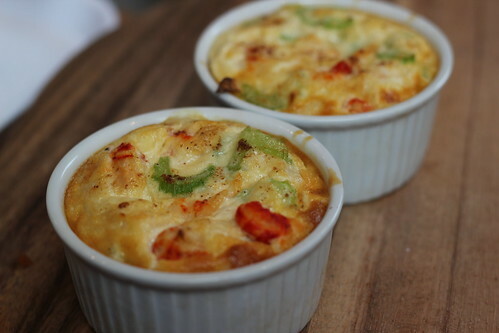 Our first course was a celeriac and crayfish gratin, almost like a quiche filling but in a little ramekin dish instead. 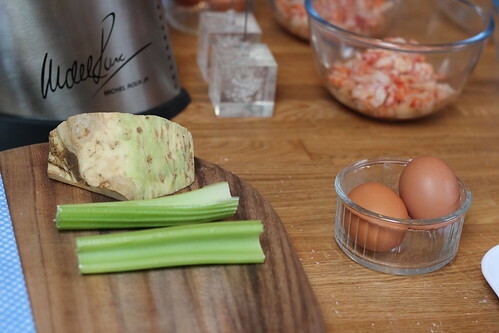 The basic recipe is eggs, cream, fish, spices and vegetables (celery and celeriac) but it got me thinking about all the different things you can put into this dish. 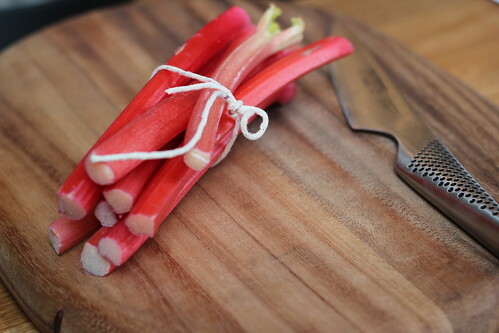 It is also served at room temperature, and can be refrigerated first, so it makes the perfect dinner party starter! 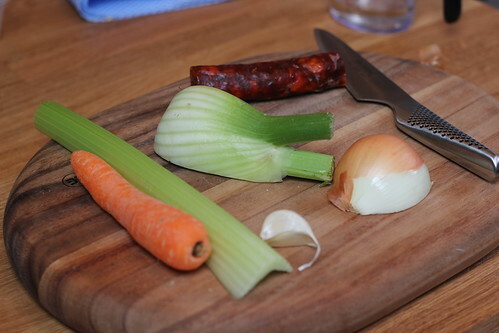 The main was a fish stew with chorizo – another great dinner party dish as you can prepare the stew in advance (ingredients as seen below plus flour, white wine, stock and spices). Once you are ready to serve, you place the fish into the pan, turn off the heat and let it cook through the residual heat. 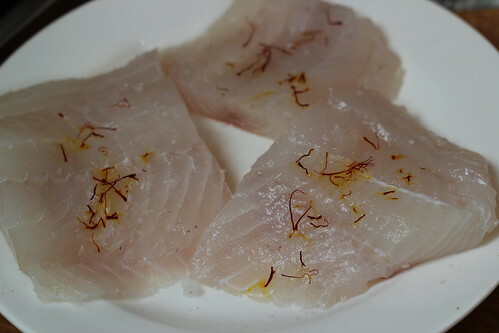 We used sustainable, budget friendly pollack, then sprinkled it with saffron. 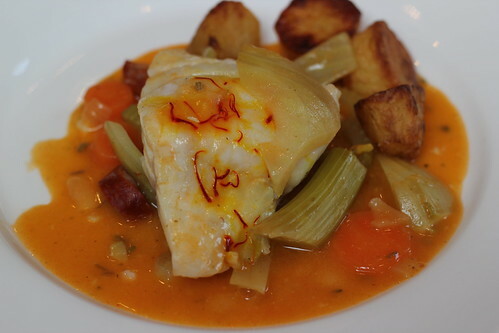 The final dish not only looks impressive but tastes delicious too! 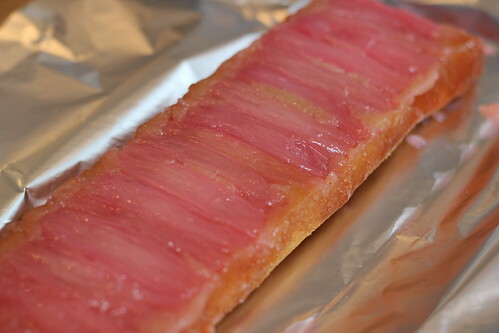 Dessert was this beautiful rhubarb upside down cake. I loved making it so much that I made it for my family the following weekend! 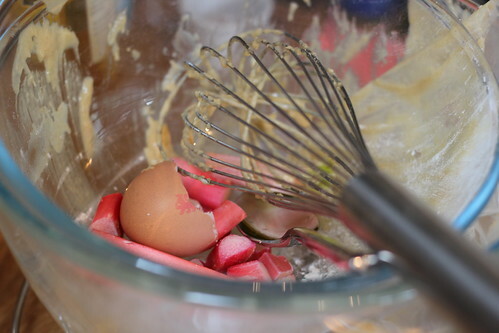 Made with perfectly pink forced rhubarb which is in season now. I hate washing up, so one of the nicest things about the course is the luxury of people clearing up after you! The whole day had been perfectly planned out with wines chosen by the Saturday Kitchen experts to go with our lunch and dishes that we had cooked. I only wished I wasn’t driving so I could have had more… and more of the delicious champagne we were served too!! 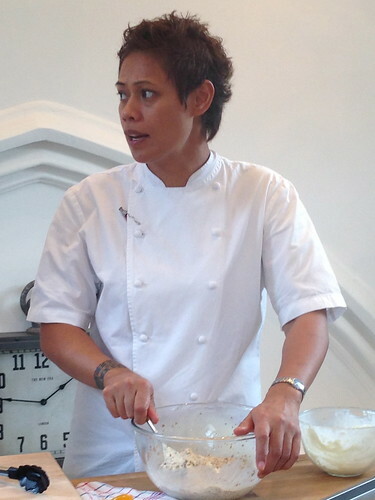 Monica always gets caught out on MasterChef: The Professionals as her facial expressions give her away as she watches people cook. We got a taste of this on the course as she cooked in front of us and answered our questions… Add in your own captions here! I love this picture, it really shows Monica’s warm, friendly side. This really shone through on the course as she talked about her young daughter and home life, showing a side you would never get to see on the TV! At the end, after eating the fruits of our learning and labour, we had the chance to sit and chat with Michel and Monica. They were more than happy to sign your apron (a great souvenir from the day!) or cook books and have pictures taken too! There are a range of chefs you can choose from for the courses (FYI they aren’t cheap) and as you can see from my coverage here, you really get quality time with the chefs and are in the most luxurious surroundings. The ability level required for the course wasn’t particularly high, although if you were a really good cook you could still get a lot from the tips and support from both the celebrity chefs and the brilliant gentleman (oh gosh I’ve forgotten his name!) who heads up the kitchens there, who really knows his stuff. There are enough people there to help if you get stuck, and to make you drinks when you want them too. 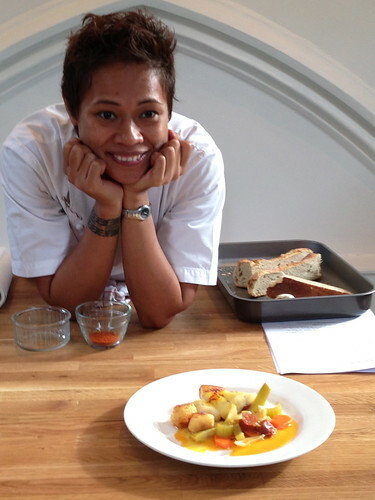 Oh, and you get a lunch (with wine) with the chefs and get to take any leftovers home to impress your loved ones! As you can tell, I had a really good time! 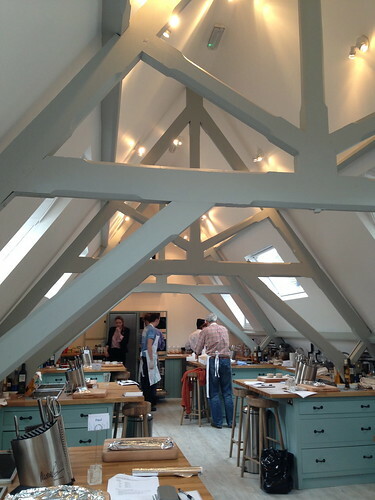 Take a look at the Cactus Kitchens Website for more details on the courses, and let me know if you have been or are planning to go on one! 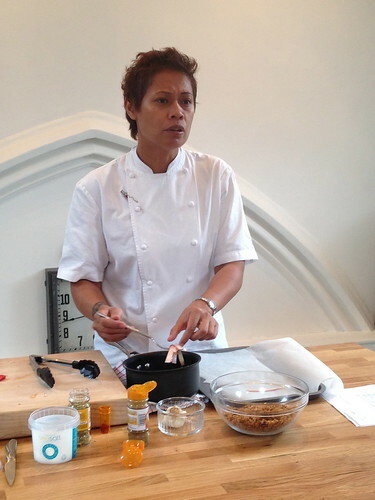 Welcome to my little place on the web, where I share my food finds, stories, recipes and adventures in food. 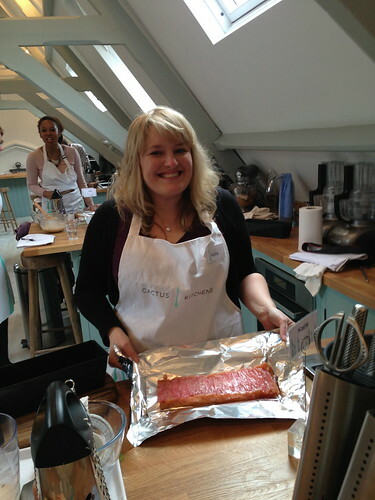 I am a lover of all things food - cooking it, eating it, shopping for it and writing about it. I'm lucky enough to love my job, which is searching for the most exciting artisan food and drink producers for my own company Fabulous Food Finds and The BBC Good Food Shows. If you would like new posts sent directly to your inbox just enter your details here. BBC Good Food Show The biggest and best food and drink show in the world!